Delightfully feminine, this short sheath party dress showcases the curves in mauve pink floral lace. From the high neckline to the beautifully scalloped hem, gorgeous pink flowers and winding vines create a lovely design on the fully-lined lace mini party dress. 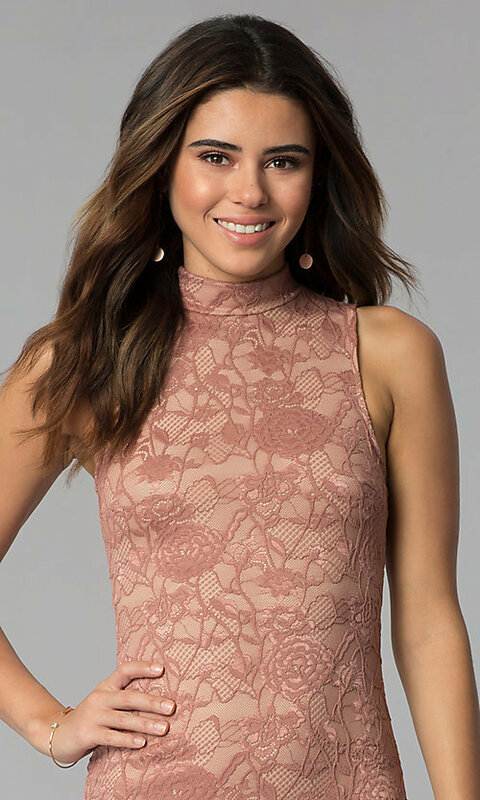 Whether attending a semi-formal wedding reception or cocktail party, this short lace sheath dress is a sleek style that you will want to wear again and again.